Prepare for the CPA exam while earning a valuable bachelor’s degree. Get the accounting training you need to sit for the Certified Public Accountant (CPA) exam. As you progress through the four-year program, you’ll internalize generally accepted accounting principles (GAAP) and apply them to real-world scenarios. 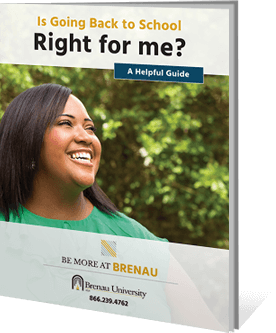 You can be proud that your online degree is part of Brenau’s 140-year history of progressive approach to education. In the online B.B.A. in Accounting program, you’ll gain solid business fundamentals through our general bachelor of business administration curriculum. Then, you’ll take classes specific to accounting to complement your core business courses – and you’ll still graduate in the same amount of time. In addition to the core B.B.A. curriculum, you’ll take the following accounting courses to complete your degree.